There is good news for all adobe and android lovers as Adobe have released the latest version of Adobe Photoshop for Android phones. Users can now actually download and enjoy the usage of the latest version from Android Market. The special characteristic in the latest version is the usage of Flash player 10.3 which comes as a surprise because no one was expecting an update about Adobe Flash Player in near time. Adobe released the following statement on its official website. 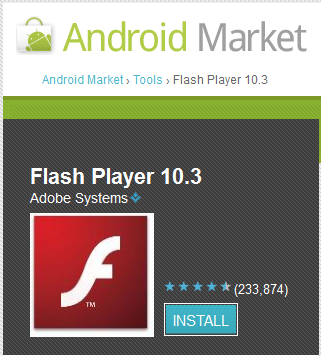 The current build number for Flash Player 10.3 for Android 2.2 and above is 10.3.185.21. Flash Player 10.3 is a production GA (General Availability) release for Android 2.2 (Froyo), 2.3 (Gingerbread), and Android 3.01 (Honeycomb) devices. Following are the latest and selected updates in the latest version. NEON optimizations for OMAP4 based devices has been enabled. Mostly carried out the solution for the video error in Samsung Galaxy S. Apart from solving Samsung Galaxy’s video issue, it has also fixed HTC EVO video crash as well. 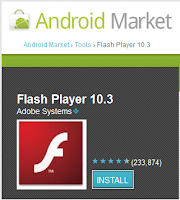 0 Respones to "New Adobe Flash Player 10.3 for Android"